It is with a heavy heart that I must advise all readers that Alan Greenouff, The first Secretary General and subsequent Chairman and ultimately Honorary Chairman of the Federation passed away suddenly in his sleep on the 8th February 2014. Alan had seemed very well, indeed we had met only a week before to discuss the up and coming AGM and he was looking forward to both a Holiday in the sun and the AGM in April. I have known Alan for a great many years, he was one of life’s gentleman, always smartly turned out and the epitome of politeness, however, he was also very strong willed and would fight both his and the Federations corner should it be necessary. Alan started the Federation in 1998 having been approached by the Vehicle Salvage Industry, having retired from the Insurance industry as Motor, Liability and Accident Manager of the Association of British Insurers in 1993. 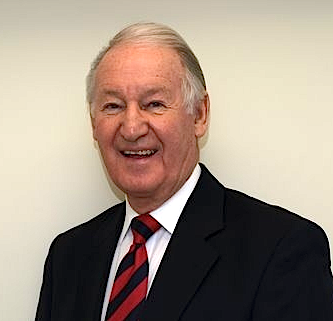 In 1999 he succeeded Lord Montague as Chairman of the Federation subsequently retiring from active work in the Federation in April 2010, however Alan retained the title of Honorary Chairman and was always very willing to assist at the AGM in this capacity. The BVSF membership was advised that Alan had passed away as soon as was practical on Saturday 8th and messages of condolence have been arriving since that time. On behalf of my family and indeed the Federation I have written to Marian Greenouff expressing our deepest sympathy at this time. Alan Greenouff always made time to assist, his knowledge of the Insurance Industry was second to none and he supported the Federation tirelessly, his work on behalf of the Salvage Industry will never be forgotten. On a personal note, I am still stunned by this loss, Alan was a good friend and working colleague and it is difficult to imagine him no longer being around. My heart goes out to Marian. I will close by just advising that this world has lost a genuinely good man and I am honoured to have been able to not only work with him but to also consider him a very good friend. Comments from Federation Members, Friends and Colleagues…..
“He was a thoroughly decent man who made his mark on an industry that will always be thankful. Please pass my condolences to his family”. Jason Cross, FAB Recycling. “That is awful news that I am very sad to hear indeed” Nigel Paget, Copart. “He was a true professional and a good man and will be sadly missed”. Phil Gledhill. “Alan was always a gentleman and I always enjoyed the opportunity to talk to him when we met, he supported and challenged where appropriate, and was always approachable.” Andy Latham, Salvage Wire. “Its such a shame to loose a friend like Alan, he was a true gent and a great ambassador for our industry, he will be greatly missed.” Keith Loeber, Chase Autos. “So sorry to hear the sad news about Alan. Please pass on my condolences to his family.” Les Elliot, Allianz. “We are all very saddened and shocked to hear this news.” Percy and Nick Snow, Snows Commercials. “Please pass on our condolences to Marian Greenouff”..Margaret Barr and Stewart Thomson, S&I Thomson.